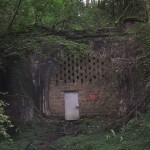 The tunnel entrance at Hook Norton. Could this line one day link Cheltenham to Oxford once more? I bought a copy of ‘Beating Beeching’ at W.H. Smith’s the other day. 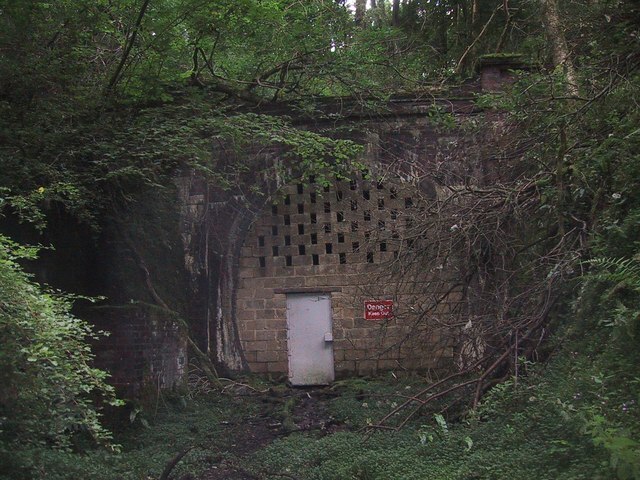 If you haven’t see it, it showcases a number of schemes where reinstatement of railway lines closed by Dr Beeching in the 1960s has already been effective either by independent heritage railways or by local partnerships working with local authorities and Network Rail. In an age where we have all been battered by the recession and restructuring of the world economy, it is highly uplifting to read of the gargantuan efforts and ‘never-say-die’ attitude of the individuals and groups who have committed themselves to rebuild their local railway following termination by the deadly Doctor and his equally culpable henchmen in the form of government ministers of both parties. The path back for these lines has been hard won and slow. To even make the case for restoring some of them has been to go completely against the political flow for over 30 years and I am sure it makes us all smile to read of this or that M.P. who makes an ‘unarguable’ case for rail now when only 10 years ago, s/he would have been completely unmoved by the cogent and well argued protestations of our rail visionaries. Michael Portillo, basking in the warm glow of his present status as railway hero must be so pleased that he saved the Settle and Carlisle. At the time he was very much going against the flow and he has been rewarded in pink jackets, personal popularity and a TV series that seems to go on forever. But, even with a changed climate, it is all still very difficult turning trackbed into railway. Even re-opening freight only branches seems to take forever – ask the Portishead Railway folk – and can cost millions and millions of pounds, while some of the success stories, such as Swanage and the Glos Warks, seem truly miraculous, given that they began with an empty trackbed and scenes of depressing dereliction. Both of those latter can look forward, over the next 20 years, to becoming a significant part of the local rail infrastructure and, indeed, Britain does seem to be getting some of those bits of its railway network back that were clearly over-pruned by Beeching et al. This does not mean, of course that every re-opening scheme is to be supported. Beeching was not wrong in all cases. The East/West Oxford to Cambridge line clearly meets a need but, for example, does Kingham to Cheltenham stack up as an add-on? Is a rebuilt Somerset and Dorset anything more than a nostalgic dream? I’m all for expanding rail links in these areas and I am not against it if the case that can be made is sound but the timeline from attractive vision to trains running is still measured in decades and I fear that many such schemes cannot be made to work financially. But I could be totally wrong of course – I hope I am. But back to the optimism. Dogged, bloody mindedness and a refusal to take no for an answer is one of the better British traits and our heritage railways are the envy of the world. It is the tenacity of the people who started them that is responsible for the present happy expansion of rail in this country and I for one, am grateful.